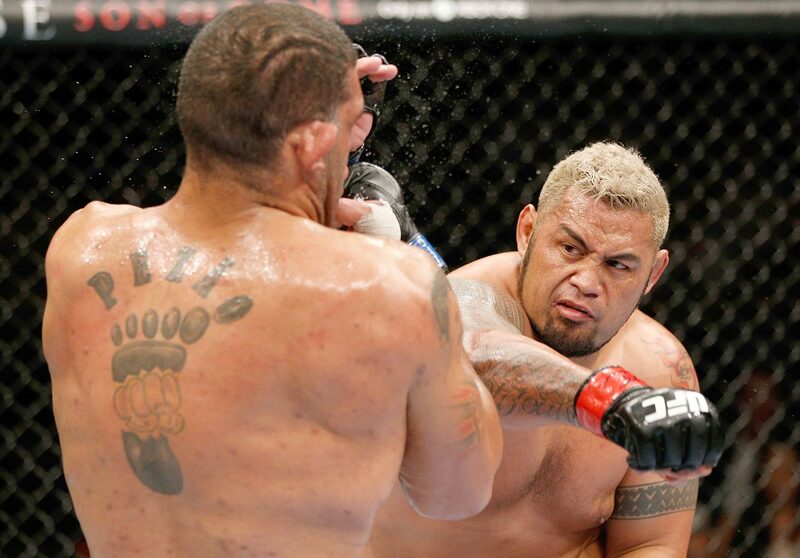 Mark Hunt spent five rounds getting dealt a beating and giving one right back to Antonio "Bigfoot" Silva. Yet he found some time before an inevitable trip to the hospital to address his fans on Instagram. Hunt said he’s got a "cracked" face and a broken hand. The circular cut on his forehead looks like he was shot. In reality, he was just punched repeatedly in the face by a nearly 300-pound giant of a man and remained standing virtually the entire time. The majority draw with "Bigfoot" was one of the best of the year and arguably the greatest heavyweight fight in UFC history. The aftermath could be costly, though. Two men of that size throwing punches for that long at each other cannot be good for the health. The damage is plainly seen all over Hunt’s face. And "Bigfoot" looks even worse.